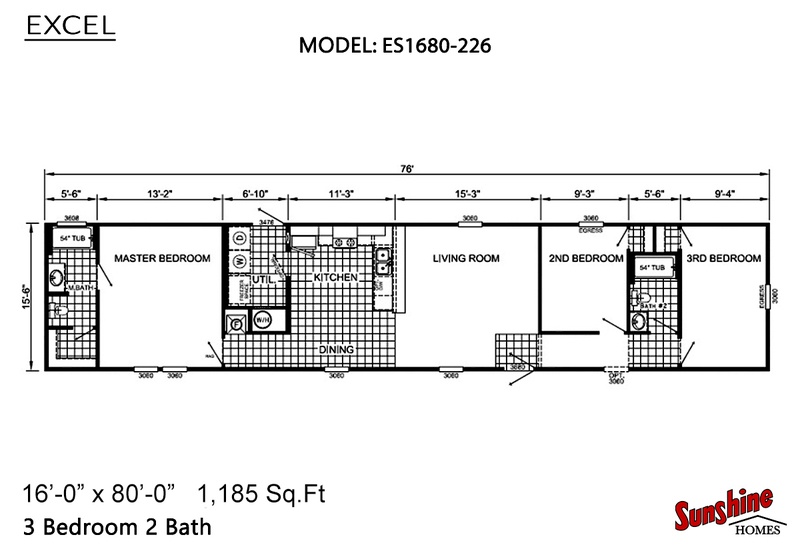 The Excel ES1680-226 floor plan is a spacious single wide home 3+2 with all of the Excel series options that will make any family comfortable. With solid construction features and beautiful decor, this floor plan is tailored for quality and will stand the test of time. Exterior Wall On Center:16 IN O.C. Interior Wall On Center:24 IN O.C.